Canadian crime writer J.E. (Jayne) Barnard talks about her books, her two series, and her other passions. "In an oil-rich wilderness, where a grim do-or-die ethos hides just beneath the civilized surface, a jaded ex-cop struggles to protect her oldest friend from an unknown danger." 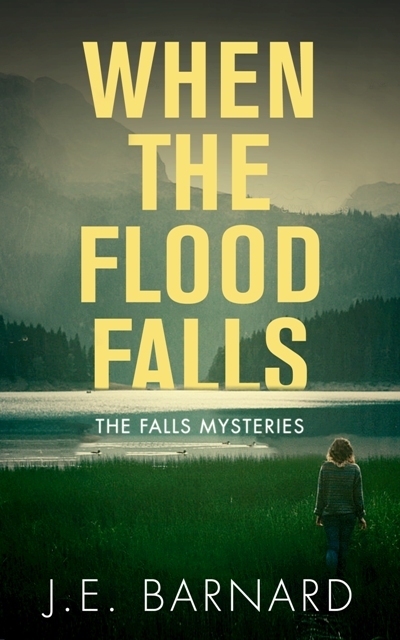 More than a riveting page-turner, When the Flood Falls also offers readers a stirring celebration of female friendship and the ability of women to summon strength and resilience in times of crisis. I already can’t wait for the next Lacey McCrae adventure. Beneath the many mysteries of Barnard’s character-driven debut are enduring questions about the complexities of life and the choices people make. A taut, high-stakes thriller that is deeply personal, internal, and psychological. A fine debut, one hopes the first of many Lacey McCrae novels to come. This complex, unconventional debut, which revolves around the power of men to instill fear, unfolds slowly, introducing the voices of three individuals suffering from some form of trauma. "a fresh and compelling story artfully told by a writer at the top of her game. Barnard's protagonist, Ex-RCMP officer, Lacey McCrae is smart, decent and wounded, a complex character that I look forward to following." 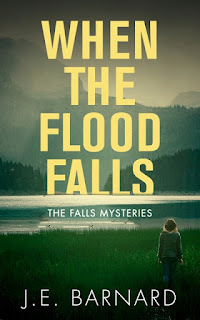 "Set in the stunning foothills of the Rocky Mountains, When the Flood Falls weaves a compelling, intricate tale of love, community, and betrayal in the high-stakes world of big oil and hockey. In this impressive series debut, Barnard introduces Lacey McCrae, a tough but fragile ex-RCMP officer in search of a new path to dignity."